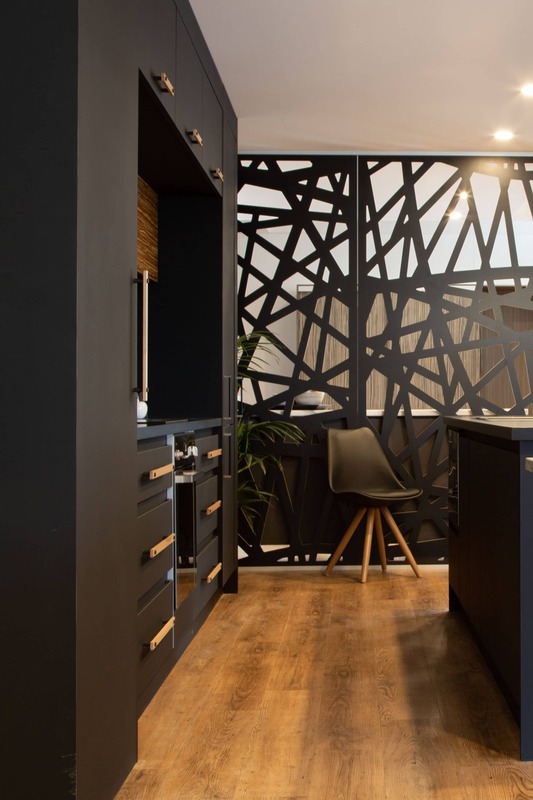 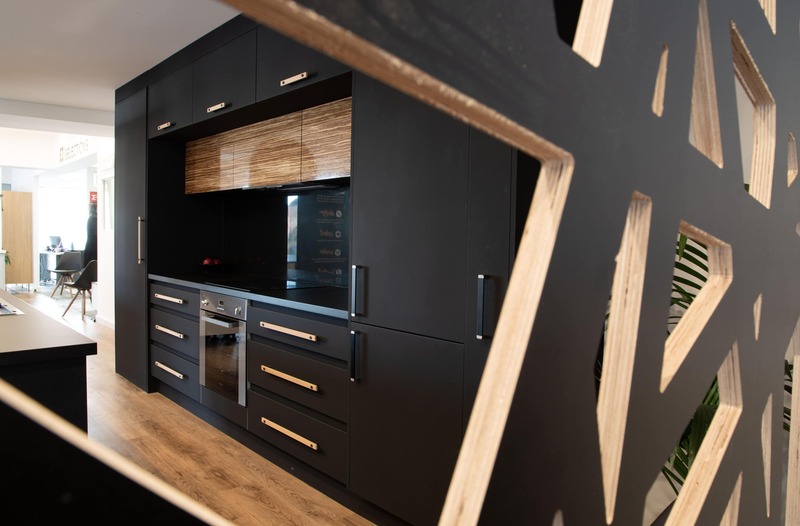 About this project: This is the showroom of one of our clients in Tasmania. 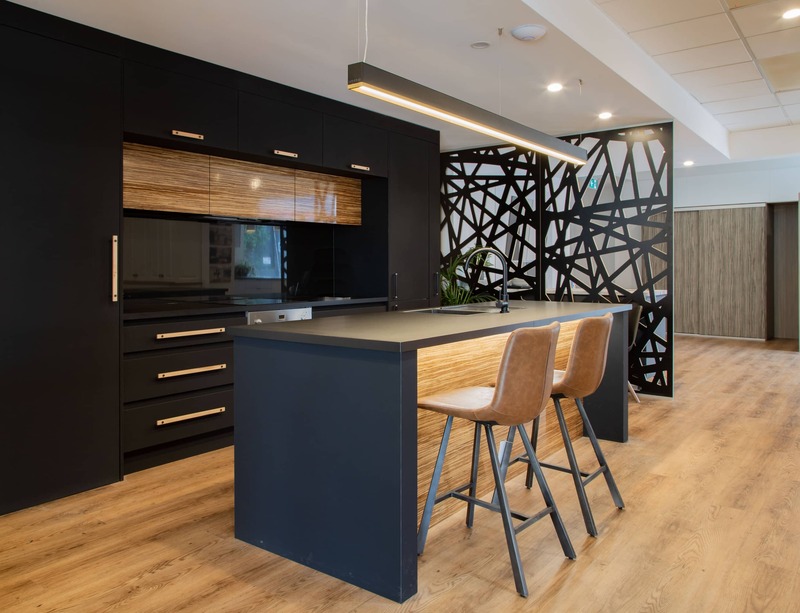 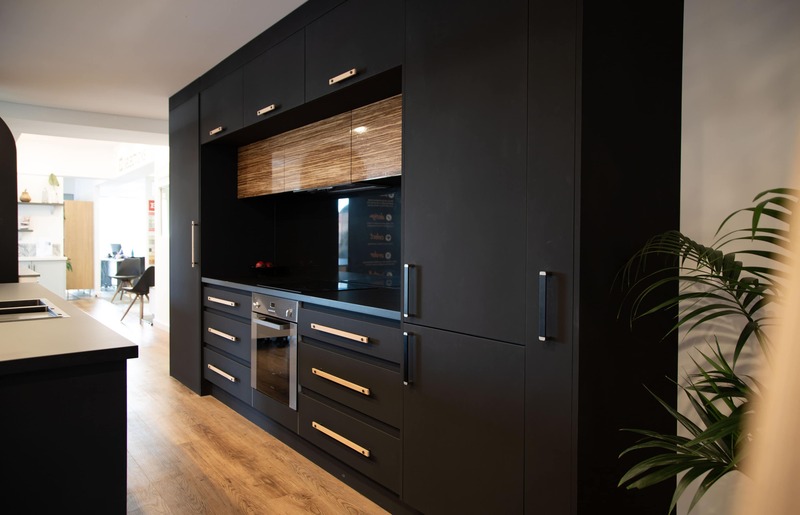 Displayed in all three Kitchens is the Castella Madera Timber Range in Tasmanian Oak/Matte Black & European Beech/Matte Black combinations. 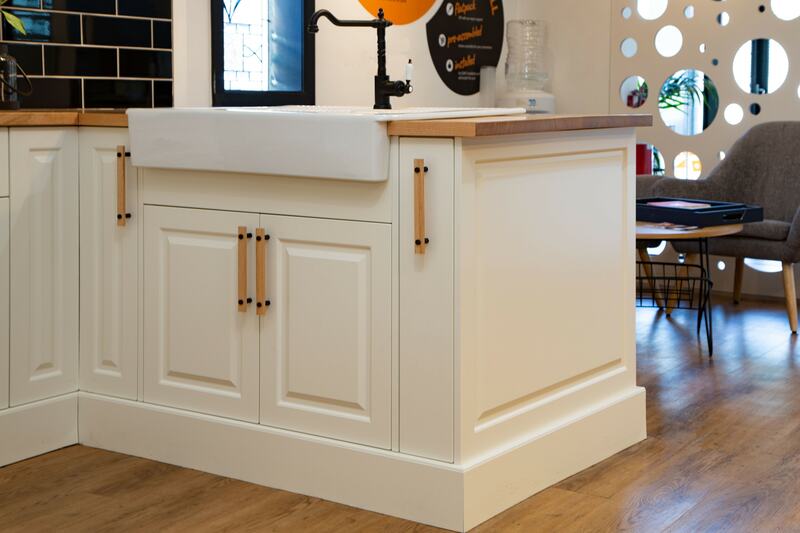 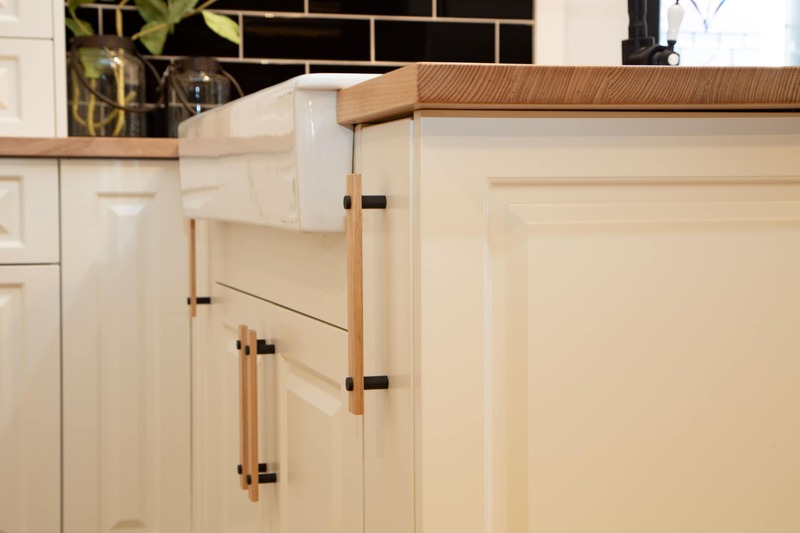 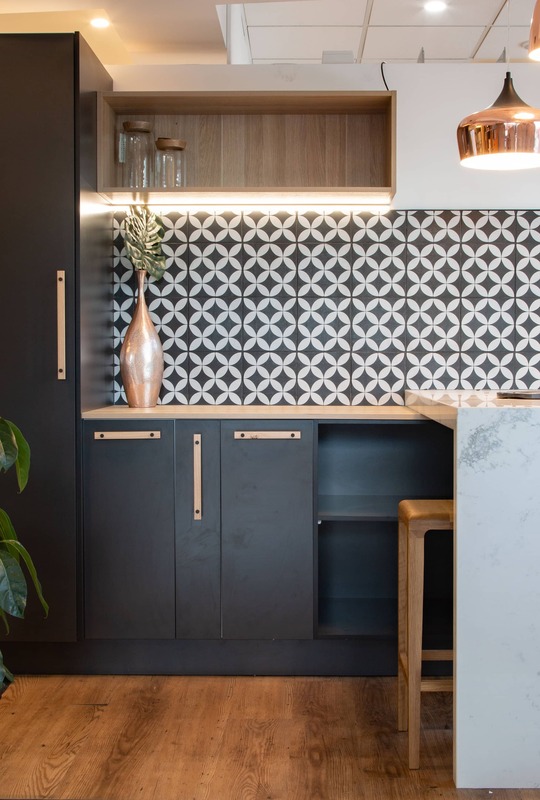 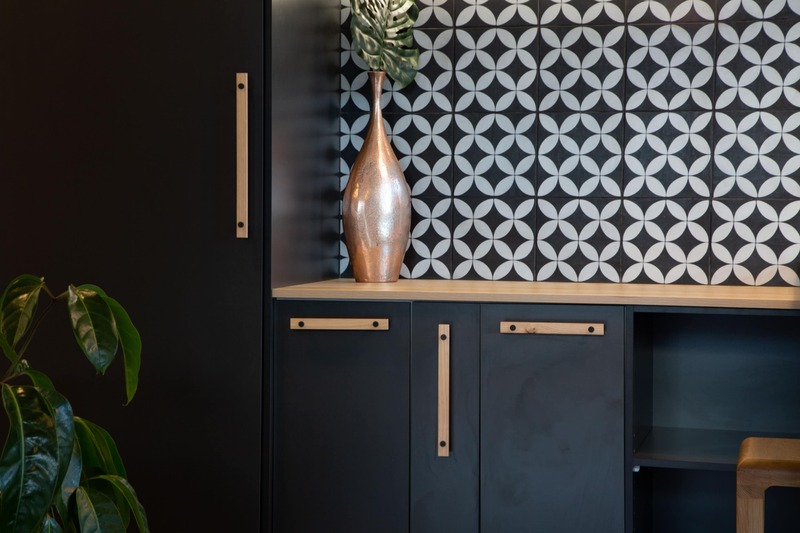 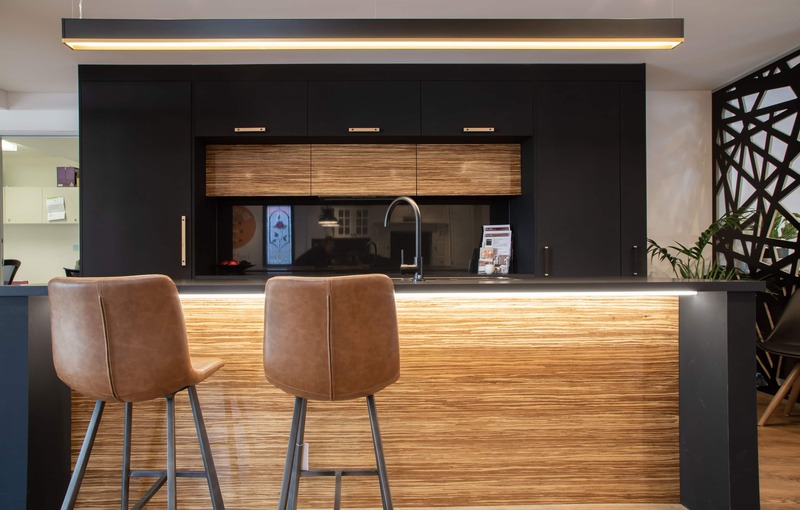 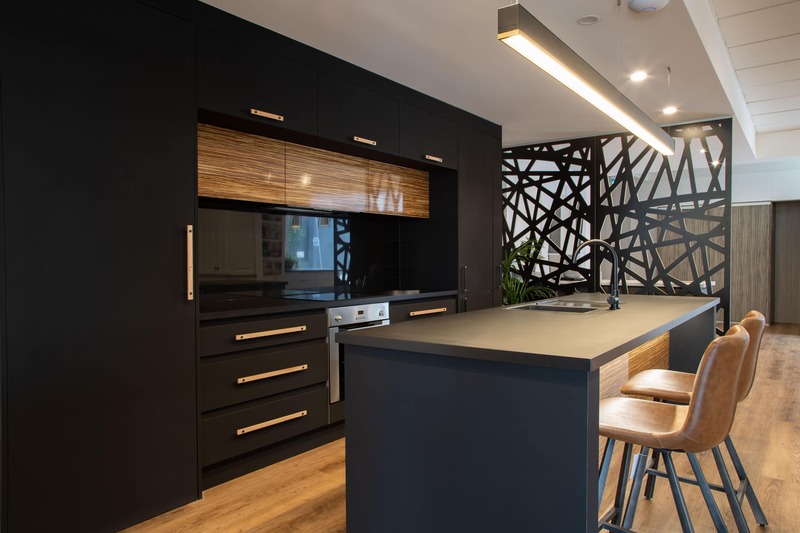 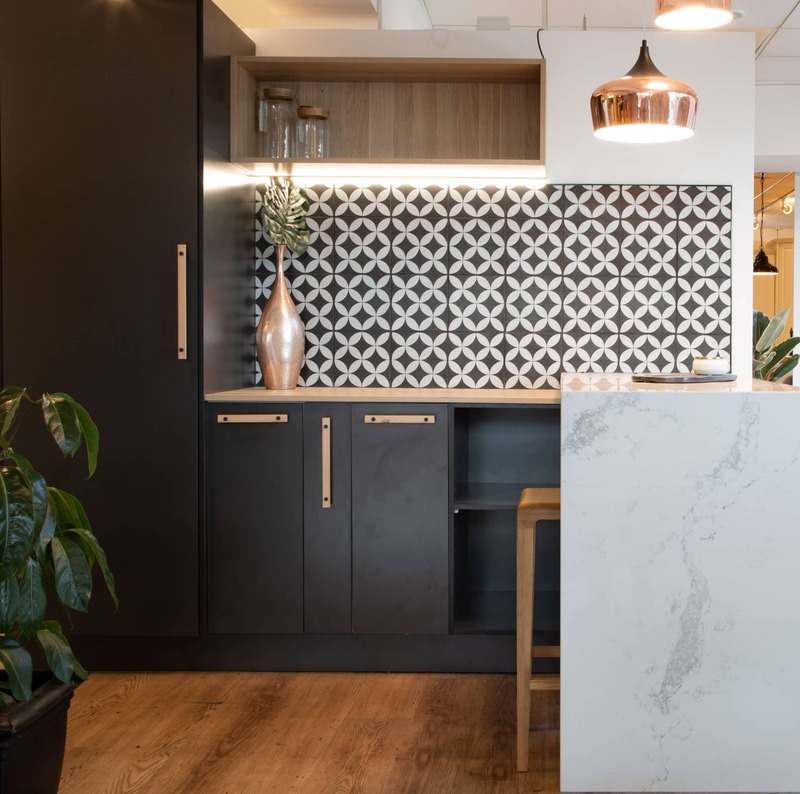 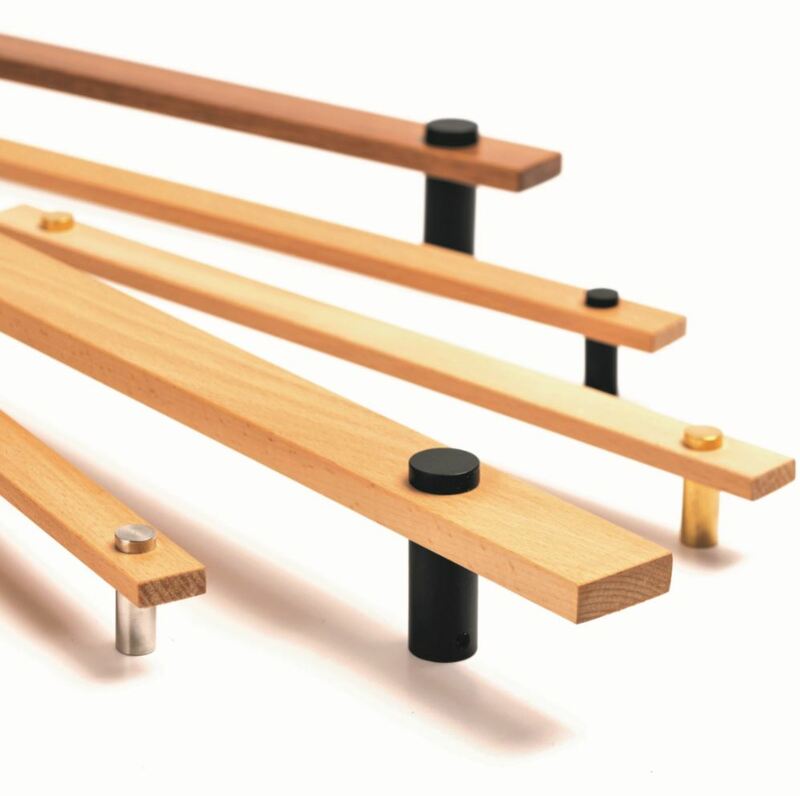 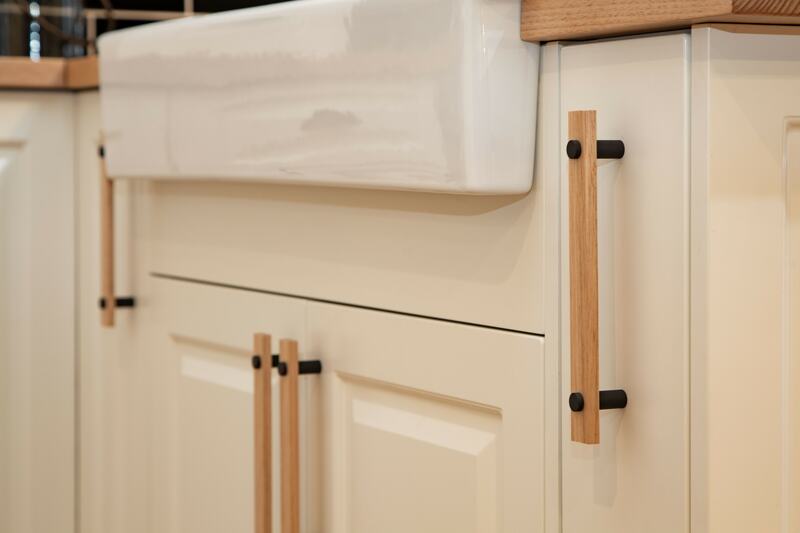 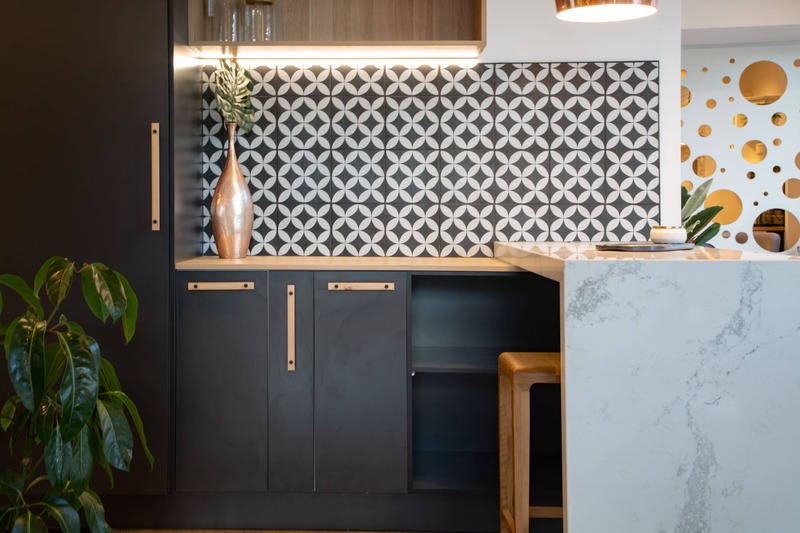 This stunning handle works beautifully on all three kitchen designs, if you’re designing something more modern and contemporary like the all black kitchen, or a classic provincial kitchen also works, with the Tas Oak benchtops and matte black tapware.